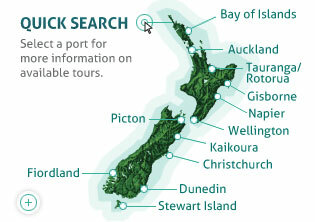 Fiordland is home to the famous Milford and Doubtful Sounds – New Zealand’s picturesque icons, and a World Heritage Site. Milford Sound, the largest national park in New Zealand, is acclaimed as New Zealand’s most famous tourist destination and is best explored by ship, sea kayak or one of the walking tracks. There are beautiful waterfalls tumbling hundreds of metres into virgin forest and abruptly carved peaks, including the majestic Mitre Peak, as well as marine life such as seals, penguins and dolphins. Captain Cook charted the region in the 1770s and incorrectly termed the fiords as sounds – the word ‘sounds’ subsequently appeared on maps and remains to this day.